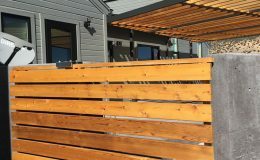 This residential, sliding patio gate provides privacy for this home. The gate uses our CGS-250.8M model. This is our smallest galvanized steel track system used for gates up to 13 feet wide and weighing up to 900 pounds. As you can see in the photo, the working environment had limited space to install a sliding gate. 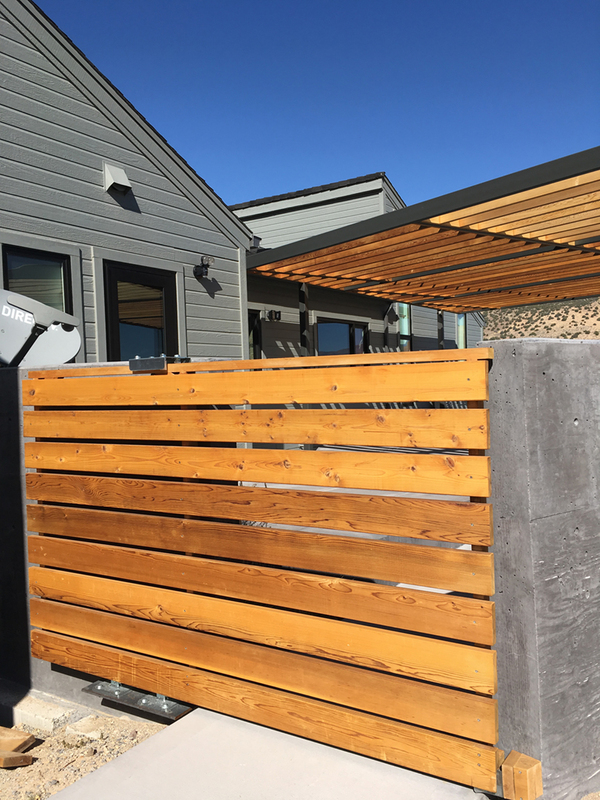 The home owner chose DuraGates hardware since this hardware offers a shorter tail end/counter balance.